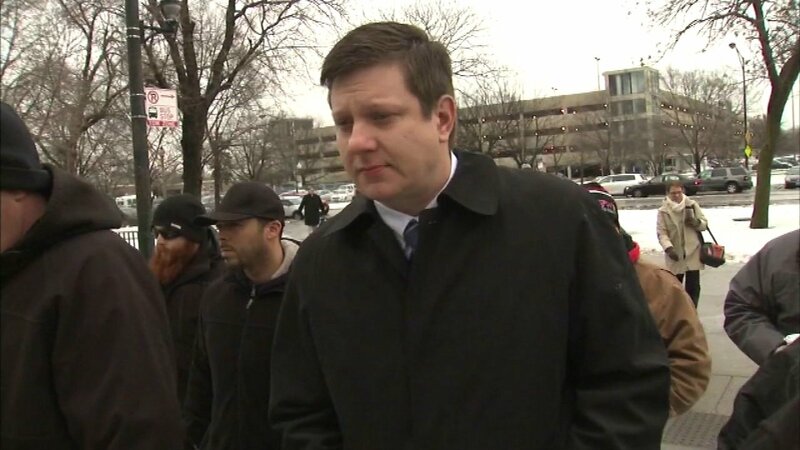 CHICAGO (WLS) -- For the first time the Chicago police officer charged with murdering Laquan McDonald speaks out. Officer Jason Van Dyke spoke Tuesday night to the Chicago Tribune for about 40 minutes in an interview at his lawyer's office. The paper said its questions were submitted in advance. Van Dyke said he's nervous for the start of his trial next week but did not comment at all about the video showing him shooting McDonald 16 times. McDonald's family has called the shooting an assassination.